Legendary assassin John Wick (Keanu Reeves) retired from his violent career after marrying the love of his life. Her sudden death leaves John in deep mourning. When sadistic mobster Iosef Tarasov (Alfie Allen) and his thugs steal John’s prized car and kill the puppy that was a last gift from his wife, John unleashes the remorseless killing machine within and seeks vengeance. Meanwhile, Iosef’s father (Michael Nyqvist) — John’s former colleague — puts a huge bounty on John’s head. Keanu Reeves is a right sneaky Pete. Just when you think his star has faded, he comes roaring back to life with an adrenaline shot in the form of John Wick. 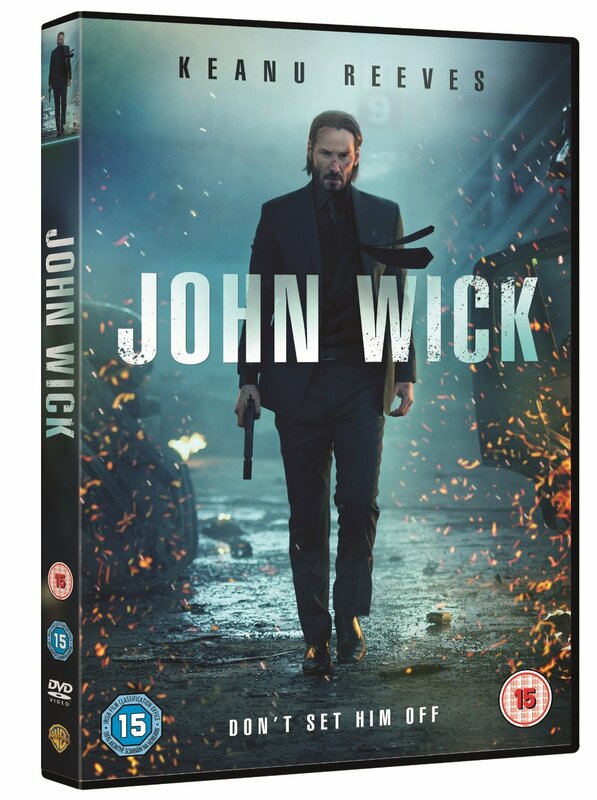 The best way to pitch John Wick is to say, it’s about a man and his dog….no, a man and his car…no, it’s directed by a double act behind some of cinema’s greatest fight scenes…no, it’s a pulpy action film. Ah, heck. It’s essentially the American cousin of John Woo’s The Killer and Gareth Evans’ The Raid. And like those movies, it’s a film that accepts its lot. This is no Die Hard; with its smarts, memorable dialogue and three-dimensional villains. This is Predator; just big guns, lots of noise and innumerable glorious death scenes. Plot, character development, motivation, these are all moot. 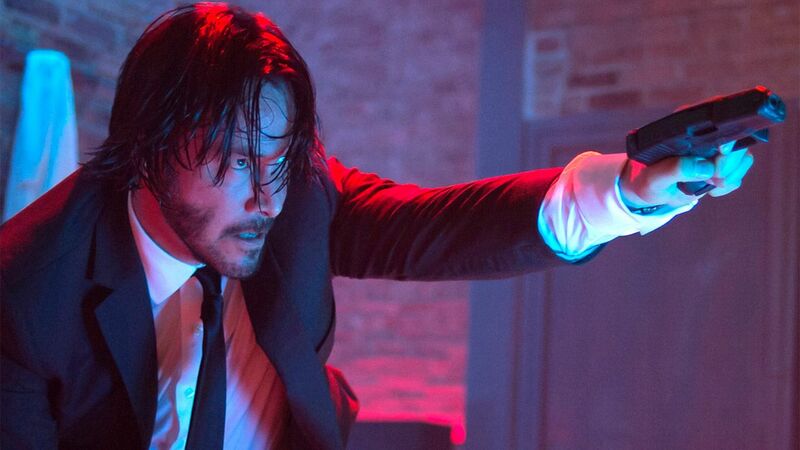 John Wick is about putting as many badass fighters and gunmen in a room as possible, and watching Keanu Reeves turn their bones to jelly and their skulls to mush. All this gun fire and throat crushing wears thin at times and there are a few moments when mayhem gives way to calm. It is in these scenes that the film screams for a change of flavour. There should be peppery dialogue or at least a hint of brooding, but instead we get dragged past a barrage of computer game level bosses and bit-part cardboard cut-outs. And that really is the film’s only, but major flaw. That, and the fact that often the film feels as though it is giving way to style over form. Many fight scenes look great, but are not always captured in the most original or telling way. Keanu Reeves has never been one of cinema’s great orators, and his turn in John Wick is no exception. Often offering nothing more than a curl of gruff sentences, or a melancholy grumble, Reeves is at home with his version of Wick; a role that sits somewhere between Neo and Jack Traven. Alfie Allen and Michael Nyqvist are the stock weasel and his big bad daddy, respectively – proving, once again, that Russians are the new bad guys in Hollywood. Willem Defoe gets a nice little torture scene and Ian McShane plays it loud and lairy as one of the film’s more flamboyant characters (which is saying something). But the true standout other than Reeves is Lance Reddick. His skeletal creep show presence is like a slab of gothic marble smack bang in the middle of every scene he graces. He is like The Shining’s Mr Grady; only a more goulish black version. When John Wick 2 arrives next year, one can only hope that Reddick’s hotel manager and Reeves’ John Wick get to team up. Now that could be the most unusual double act in the history of the genre! As a standalone experience, John Wick is a great little film. It won’t change your life, but it will give you the pump one often expects from a decent action film. It is a shame that the DVD has been left by the wayside, whilst the Blu-Ray is swimming in what are no doubt, interesting looks at the film’s development. Regardless, well worth a view.